Marketing For Dummies - Heimkaup.is – Matur, raftæki, snyrtivörur, bækur, íþróttavörur, leikföng og sjónvörp. Allt sent heim samdægurs. Smart marketing techniques to get your business noticed. 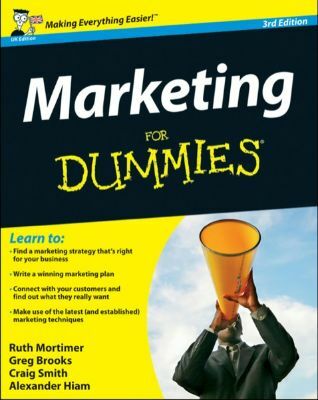 Plan a successful marketing campaign and move your business forward with this fully updated edition of an established bestseller. Packed with practical advice from a team of industry experts, this readable guide features all the latest tools and techniques to help you connect with new customers and retain existing ones. From choosing the right strategy and preparing a marketing plan, to igniting your imagination and producing compelling advertising, you'll be creating a buzz and increasing profits in no time. Realising There’s an App for That! What do intermediaries do to earn their cut? Hiring your own or using reps?